From early 2014 through late 2015 I worked on a simple robotic (low-cost) imager for crystal screening. 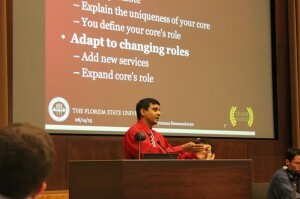 The idea started in 2014 when I attended the first FSU Stacking Layers Conference I and continued with FSU’s 3-D Printing Group. One of my colleagues helped building a early prototype based on 3-d printer platform. Then at 2015 Pittcon, New Orleans, LA, I found a low-cost USB microscope from Dino-lite. One of my colleagues helped set-up the software. We then combined all these ideas and after multi-iterations of both hardware and software designs, we now have a working version of our IMB-designed home-built Simple Robotic Imager (SRI). 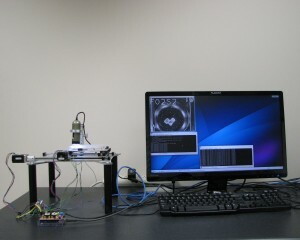 It can collect data on various ARI Intelliplates. The milestones during the development. The practical core facility modules in crystallization and diffraction is a precursor to graduate level bio-molecular structure characterization course. In this course, we will cover basic concepts of crystals, symmetry, crystallization, x-ray generation, radiation safety, x-ray diffraction, cryo safety, cryogenic technique, data collection, data processing, Linux o/s, computer graphics, data visualization, and model building. More emphasis will be given to hands-on training and lab work compared to a full-fledged graduate level course. In 2007 I started to get involved with Department of Biological Science’s summer Young Scholars Program. Since then I have taken two high-school students during the summer terms of 2007 through 2017 (except for 2012 and 2017). They work with me for six weeks during summer conducting individual research projects, ranging from spectroscopy, crystallization, and crystallography. I will be facilitating a Conferee Networking Event titled “Core Scientific Facilities: Challenges and Opportunities” at Pittcon 2018 on Monday, Feb 26, 2018, 2-3:30 PM Room 311G, Orange County Convention Center, Orlando, FL. I facilitated an event titled “Funding/Upgrading for mid-size equipment” at the 2016 Pittcon, Atlanta, GA.
Our team wins the 2017 Prudential Davis Productivity Cash Award for this work! Scientific Equipment Web Portal currently hosts most of the scientific equipment available at the FSU-wide Shared Core Scientific Facilities. The public web site can be searched in multiple ways such as, equipment name, manufacturer, scientific facility, department/unit, and keywords. PIs and Core Facility Personnel can suggest an addition to the database. The links below show a list of YouTube Videos that I have made for demonstrating various procedures for setting up handing drop crystallization, protein crystal manipulation, and cryo crystallography. 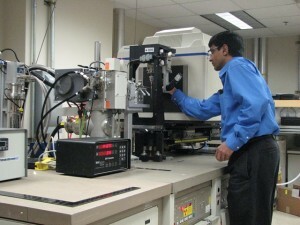 There are two multi-user powder x-ray diffraction (pxrd) equipment at the Chemical Sciences Laboratory 1011 (CSL 1011) which provide access to fixed anode line-focus x-ray source for powder samples. In summer 2013, I have been asked by my Director to help in the user training and technical maintenance of these equipment. 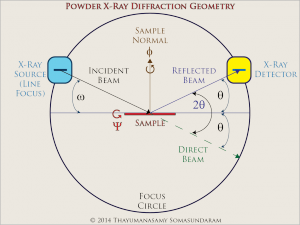 The links below show a list of presentations that I have given during invited talks, XRF Workshops, Crystallography Club Meetings, and X-Ray Facility and General Lab Etiquette’s Seminars.